Book direct with us online and save! For the eighth consecutive year, Ocean Breeze Hideaway has been awarded a Certificate of Excellence by Trip Advisor. Mahalo to all our wonderful guests! We invite you to Ocean Breeze Hideaway bed and breakfast and our spectacular ground floor oceanfront condo. 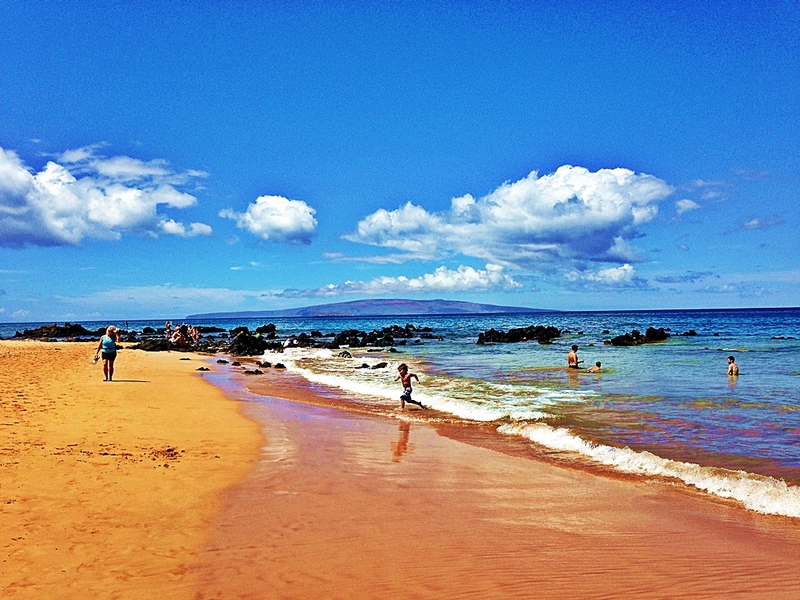 Relax in gentle surroundings near beautiful white sand beaches at our tropical oasis in Kihei. 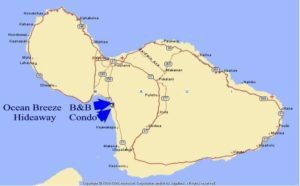 Soak up breathtaking ocean and mountain views at our bed and breakfast and gorgeous 2 bedroom 2 bath oceanfront condo in sunny Kihei. 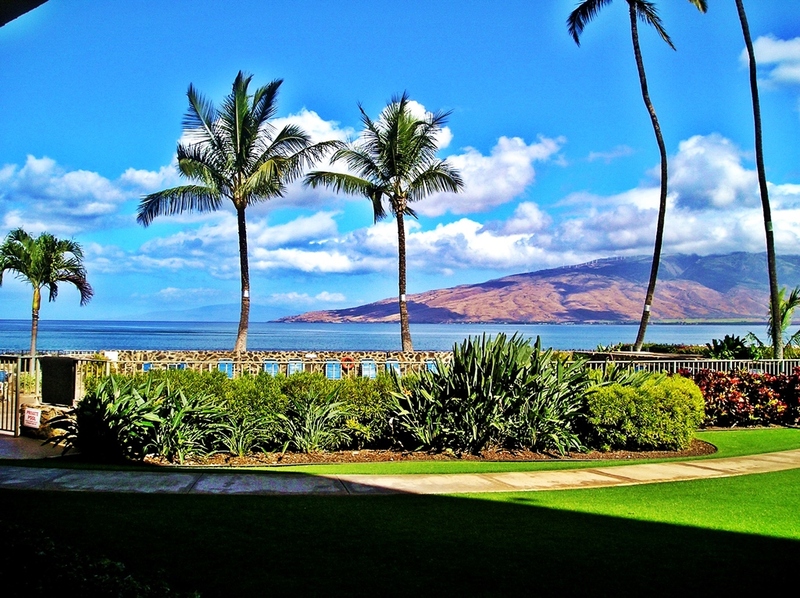 Wake up to the sound of the ocean as the morning sun lights up West Maui mountains. The view across Ma’alaea Bay is stunning any time of day. 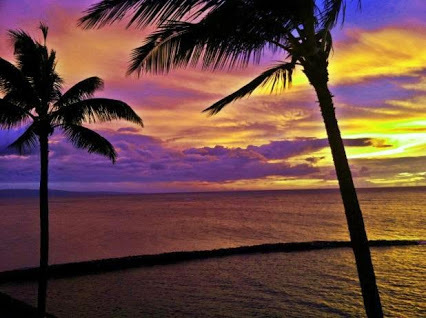 At the end of the day, kick back and enjoy the famous Maui sunsets.